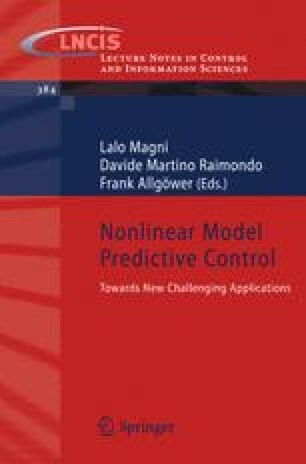 Nominal stability of a quasi-infinite horizon nonlinear model predictive control (QIH-NMPC) scheme is obtained by an appropriate choice of the terminal region and the terminal penalty term. This paper presents a new method to enlarge the terminal region, and therefore the domain of attraction of the QIH-NMPC scheme. The proposed method applies a parameter-dependent terminal controller. The problem of maximizing the terminal region is formulated as a convex optimization problem based on linear matrix inequalities. Compared to existing methods using a linear time-invariant terminal controller, the presented approach may enlarge the terminal region significantly. This is confirmed via simulations of an example system.